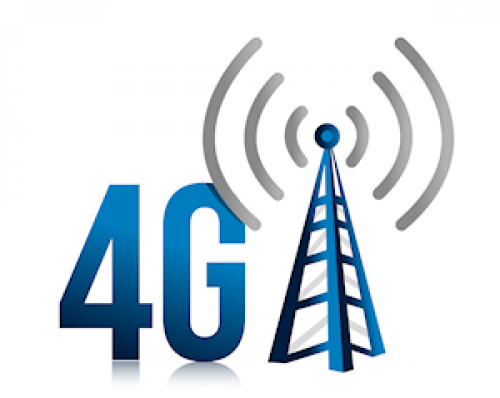 How much Mobile Broadband data does your 4G mobile plan include and is it too expensive? A new report from Point Topic has revealed significant variations in 4G pricing and data caps across Europe, with UK consumers appearing to exist in one of the more expensive markets. Firstly, let’s see what we can get for around £20 per month in terms of data centric SIM-Only Smartphone plans (12 month contract and excluding discounts). Three UK will give you about 12GB of data (plus 200 mins, unlimited texts), while EE can do 10GB (unlimited mins / texts), O2 offers 10GB (unlimited mins / texts) and Vodafone’s closest is a £22 option with just 5GB (unlimited mins / texts). The plans vary like the wind and Three UK even has an “all-you-can-eat” data option for a few extra pounds, although it’s important to note that they do cap Tethering and so do a few others. Suffice to say that establishing a baseline isn’t easy and there’s a lot of choice out there, but in terms of average data allowances the United Kingdom does seem to suffer (around 10GB for UK residential plans vs the crazy heights of 150GB in Denmark). A least the major EU economies are all be in the same boat, if that’s any consolation. The news only seems to get worse because not only do residential consumers in the UK suffer from less attractive data allowances, but we also appear to pay more per GigaByte (GB) of data than most of the other EU states ($4+ per GB). At least we’re nowhere near the extremes of Malta ($13.9 per GB) or Germany ($10+ per GB). Take note that Point Topic has used US Dollars for their report and applied a measure of Purchasing Power Parity (PPP), thus we’re not going to do a direct GBP conversion in our summary (£1 = $1.26 today). Point Topic also looked at the impact on countries that have 4G plans with larger 50GB data caps, which they chose because it can apparently be regarded as at least to some extent comparable to fixed broadband allowances (very difficult to do in countries like the UK where, “unlimited” home broadband packages are common). For example, for 50GB of data on 4G plans consumers in the UK had to pay $87 (PPP) per month in Q3 2016. In the same period, residents in Sweden, Poland and Lithuania would have paid three to four times less for the same Mobile Broadband data volume. In Q3 2016, Denmark appeared to be the best country for getting a 4G LTE subscription. Danish operators offered the highest data allowance in Europe at 500GB a month for $53 (PPP). The best data offers consumers could get for a similar monthly price in other countries were 100GB in Slovakia, 60GB in Cyprus, 50GB in Norway, and 40GB in France, to mention a few. Since then, some mobile operators have introduced unlimited data plans to meet the ever-increasing demand for data and it’s notable that Point Topic doesn’t seem to mention Three UK’s “all-you-can-eat” tariffs. The UK has some of the most affordable fixed line broadband connections in the world, yet the situation seems to be going in reverse for 4G Mobile. At least fixed line providers will be happy to know that their data advantage still holds. So why is data so pricey in the UK? Some of this may be at least partly attributable to the delays in getting 4G to market over this side of the channel (other EU countries were able to roll-out much earlier), although the wholesale cost of actually building the necessary network capacity and supplying it can also be significant. Mind you some of these challenges are shared in other EU states, often those where the prices for data continue to be lower than ours. On the other hand if mobile data was ultra-cheap then we might end up with a situation like the one that exists within the fixed line market, where it becomes harder to find the money needed to upgrade the network to the best technology. We’d like to thank Point Topic for being kind enough to supply us with some additional data, much of which isn’t available in their free analysis report. So no, I don’t think people on this plan with 3 are. Forgot to say – on Three PAYG their tethering detection does not work. theres a 450Gb limit per month, they’ll let you do it a few times before refusing to offer another 450GB for the month. They can detect Tethering, they just turn a blind eye. And its capped to 100kbs from 5pm to midnight. Thats almost pre 3g speeds. I used 150GB through my three connection last month as I moved house. No additional charge. I think the price per-GB works at £0.33 ~ $0.42 – so it isn’t all bad. I regularly maxed out their unlimited 25 one plan. 450Gb a month. They even gave me another 450gb if i complained a few times anyway. I appreciate that ‘bundled’ data can be expensive on regular tariffs, but there are plenty of data only SIM packages available for reasonable money. I spend £18pm for 50GB of data on a Vodafone data only SIM and use it to supplement by poor rural ADSL. Our Paris flat is serviced by 4g at a comparable price to adsl. It was only after it was installed that we realised it was not adsl. The UK does lots of deep discounting, offers, etc which keeps the price artificially high. For example, Vodafone will currently give you 50GB/month on a data tarriff for £25/m for life of contract. That price would put them 3rd from bottom on your graph. I’ve just signed up for a Vodafone sim with 20GB, unlimited mins/texts, for £22.20 a month, with cashback that takes it to £8.75/month. We’re paying £75/mo for 100GB/mo with EE. That’s for a data SIM, provides the “home broadband”, piped to the TV/WiFi. Circa 37 (ranges from about 25 to 50) down, 45 (fairly solidly) up. Much cheaper than fixed line for equivalent performance (would require thousands of pounds per month, so a bargain by comparison, but that says more about fixed-line than 4G). We can get VDSL, but it won’t get near those speeds. Torn here. If it were much cheaper, more people would abandon fixed-line, and then it wouldn’t be so fast. The last point there is important: High prices are used to scare people off from using too much. That implies that the networks haven’t put enough equipment (ie masts) out in the world to create high capacity availability. One point missed off has almost nothing to do with 4G, and goes back to 3G: the cost of bidding for spectrum. Those costs affected the businesses back then in direct cash terms, but indirectly in that it reduced the money for investment in the network hardware. The UK businesses paid the most for spectrum, while Denmark was one of the lowest: €650 per capita in the UK, €95 per capita in Denmark. Over the course of a decade, this resulted in Britain’s mobile data lagging, while Denmark saw a price battle. Into this environment, “average”-priced 4G spectrum was bought. It fell into the middle of low prices without differentiation in Denmark, while it was a premium offering and (still) slow to spread in the UK. The British Government came out lucky in the income they generated in 2000, but in 2016 we’re all paying the social price: relatively low capacity in the total amount of hardware deployed out there, and relatively high tariff’s per GB. I did hunt around to try and find some comparable information on spectrum pricing, but there’s not much I could uncover that was written in English for the other EU states. Do you know of any such comparison reports Mike for several EU states, reflecting the fees paid? regularly use over 1TB a month on three. This months usage was 3.3TB. Until they employ some mechanism to analyse the usage on peoples bills rather than just report it on your bill) then you really can use as much as you want. So no, i dont think I am paying a lot for 4G access. Quite the opposite.